The Baker Hughes U.S. rig count dropped one this week to 1,761. Oil rigs were down eight to 1,329, gas rigs were up seven to 428 and miscellaneous rigs were unchanged at four. By type, horizontal rigs were up one to 1,140, vertical rigs were down five to 424 and directional rigs were up three to 197. 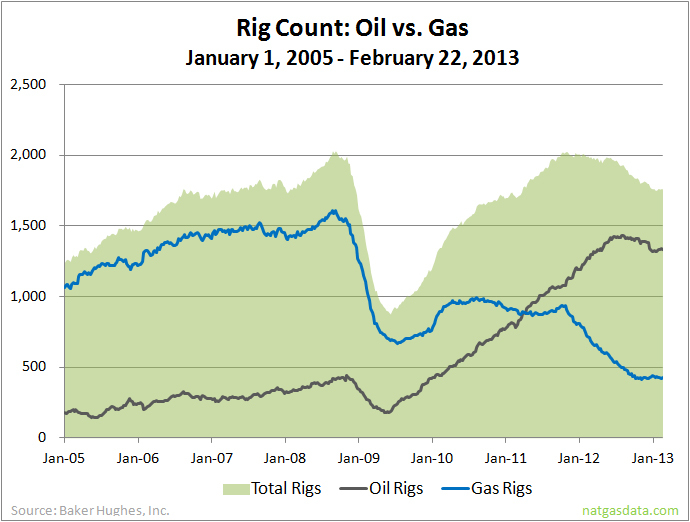 Among gas rigs, horizontal rigs were up four to 309, vertical rigs held at 60 and directional rigs were up three to 59. Vultures to Circle over GMX Resources? Another Big New Shale Play? Does TEPCO Know Something We Don't Know?